The Fédération Internationale Cinéma Télévision Sportifs (FICTS) appointed United States Sports Academy President and CEO Dr. Thomas P. Rosandich to its Culture, Education and Youth Commission. 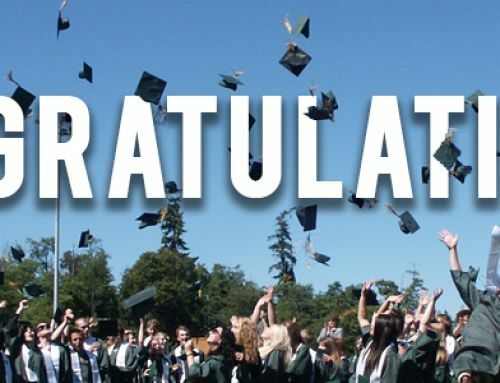 FICTS is dedicated to promoting sport culture and Olympic values to the world’s youth through sport cinema, television, culture and communication in 108 countries and five continents. FICTS President, Professor Franco Ascani serves on the IOC’s Commission for Culture and Olympic Education with Dr. Rosandich. Academy Vice President Dr. T.J. Rosandich traveled to Olympia, Greece, to lecture on the impact of the Internet and describe some of the pros and cons of Web 2.0 technology on May 12 at the International Olympic Academy’s 11th Joint International Session. The conference topics focused on some 3,000 years of human existence and development. Because his presentation was well received, Rosandich was selected by his fellow lecturers to deliver the closing remarks. National Faculty member Dr. Simon Pack traveled to the Kingdom of Bahrain May 9-13 to teach Structure and Function of Sports, the first course in the Academy’s Sports Diploma program. The program is being delivered in conjunction with the Bahrain Olympic Committee (BOC). The Academy has played a vital role in the development of sports in Bahrain during its nearly 40-year relationship. Academy National Faculty member Dr. Marty Avant is currently in Thailand teaching a course in sports security management. Another national faculty member, Dr. Michael Culpepper, will teach sports biomechanics in Thailand from June 27 to July 1. The courses are delivered in conjunction with the Sports Authority of Thailand (SAT) and are a part of the Academy’s international certification programs in sports management and coaching. 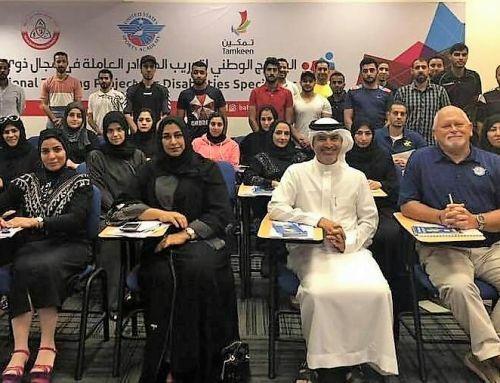 Dr. Samia Al Qattam, who is University of Bahrain department of physical education chairwoman, is now heading up the Academy’s new Sports Diploma program, which opened Saturday, May 21 with 29 students at the National Stadium in Riffa, Bahrain. Nancy Raia, the Academy’s Art Committee chairwoman and the Eastern Shore Art Center’s community arts director, conducted an art therapy program, “heART for HOLT,” for Holt Elementary School’s more than 400 children in tornado-ravaged Tuscaloosa, Ala.
Texas Athletic Director DeLoss Dodds, an Academy Honorary Doctorate and Carl Maddox Sports Management Award recipient, was named Athletic Director of the Year at the Sports Business Awards sponsored by Street & Smith’s SportsBusiness Journal and SportsBusiness Daily on May 18 in New York City. Dr. Louis G. Pack, a former Academy director, recently authored “The Arthritis Revolution.” Pack, who has more than 40 years of clinical and surgical experience, examines how you can prevent osteoarthritis, stop its progression, decrease painful symptoms and improve your level of activity or sports performance. Donna Parks, the Academy’s coordinator of continuing education and military projects, attended an Education Fair at Fort Hood, Texas on May 17-18. This fair was held for Fort Hood’s soldiers, family members, Department of Army civilians and contract employees, as well as the many retired service members and their family members residing in the Killeen, Texas, area.